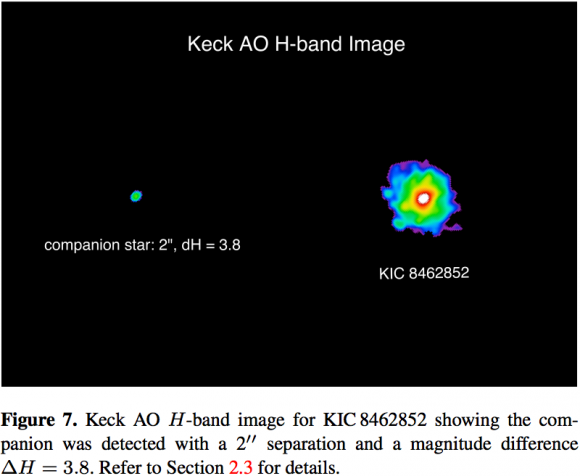 KIC 8462852 is an oddly dimming star – 1,500 light-years away. It might or might not be surrounded by vast megastructures in space, built by aliens. An artist’s conception of a Dyson sphere, or megastructure. Image is public domain art by CapnHack, via energyphysics.wikispaces.com. Did you see the stories late last week about the Kepler space telescope’s discovery of an oddly dimming star – some 1,500 light-years from Earth – hypothesized to harbor a potential, but far from definitely proven, alien megastructure? This week, according to Space.com, astronomers began using a radio telescope northeast of San Francisco – called the Allen Telescope Array (ATA) – to try to detect possible signals coming from the vicinity of this bizarre and now-controversial star, which is known to astronomers as KIC 8462852. Here’s a Q & A about this story, which has captured so much attention and is still unfolding. Follow the links below. What is an alien megastructure? 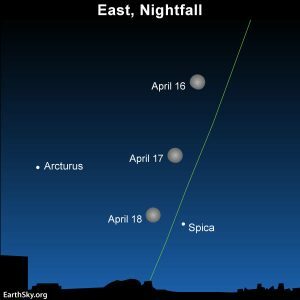 When and how did the story break about KIC 8462852? What has been found, exactly? Could it be instrument error? Why would astronomers link KIC 8462852 with alien civilizations? What other explanations might there be? What will astronomers do next? 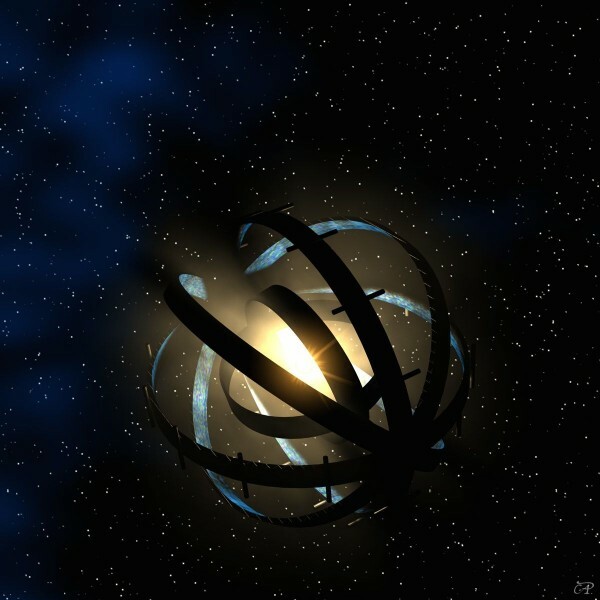 What is an alien megastructure? If we, as a civilization, could collect all of our sun’s energy, we’d do it with some sort of megastructure, otherwise known as a Dyson sphere or a Dyson shell. See the infographic at the bottom of this post to learn more about them. It was only a month ago that a Dutch astronomer released a statement saying in no uncertain terms that – since sensitive new telescopes now permit astronomers to detect waste heat expected from an advanced alien civilization known as a Kardashev Type III civilization, which would collect all the energy of an entire galaxy, and since no such waste heat has been detected – advanced civilizations using megastructures are very rare or entirely absent from the local universe. Taken together, the current story about a possible alien megastructure around a single star, and September’s story about the absence of megastructures on a galactic scale, don’t really add up to anything … but do help illustrate the fact that no definite sign of alien life has been detected here. When and how did the story break about KIC 8462852? Professional astronomers analyzing data from NASA’s Kepler space telescope (a famed planet-finding telescope), and citizen scientists from the Planet Hunters crowdsourcing program, have been studying this star. They noticed it from among the 150,000 stars stars examined by Kepler, and noted that it is “strange” and “bizarre.” Tabetha Boyajian, a postdoc at Yale who oversees Planet Hunters, submitted a paper about KIC 8462852 on September 11 to the journal Monthly Notices of the Royal Astronomical Society. The paper passed mostly unnoticed until Ross Andersen published a story about it on October 13 at TheAtlantic.com. 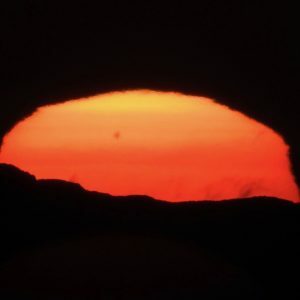 The story – titled The Most Mysterious Star in Our Galaxy – started a scramble among science media outlets to publicize the strange case of KIC 8462852. The transit data for KIC 8462852. Notice the obvious dips in the light – what astronomers call ‘transit features’ – at D800 and D1500. Image via Boyajian et al. The light pattern suggests there is a big mess of matter circling the star, in tight formation. That would be expected if the star were young …But this unusual star isn’t young. If it were young, it would be surrounded by dust that would give off extra infrared light. There doesn’t seem to be an excess of infrared light around this star. It appears to be mature. So the uproar over a possible megastructure surrounding KIC 8462852 stems from just a dip in the star’s light, observed by the Kepler telescope. It is a very intriguing dip. Could it be instrument error? The astronomers now say no, it could not. Something strange is going on here. Wright said he will be publishing an alternative interpretation of the light pattern, suggesting that it is consistent with a “swarm of megastructures,” perhaps light collectors aimed at the star itself, designed to capture the energy of KIC 8462852. This is clearly something our own civilization can’t do yet, although I’ve heard people say we are only a few hundred years from taking the first steps toward it. Image via Keck telescopes, via T. S. Boyajian et al. (2015), from http://arxiv.org/pdf/1509.03622.pdf, via Forbes. This could be a young star with a protoplanetary disk still around it, full of dust and debris, that blocks the light at intermittent levels depending on the orientation of the disk and the star relative to our line-of-sight. There could be a series of giant planets with tremendous ‘ring’ structures that prevent a significant portion of the light from reaching our eyes when they pass across their star’s disk. This could be a star that’s undergone a significant mass-ejection event, and when a dense portion of that gas passes between our eyes and the star, a significant fraction of the light gets blocked. This could be an older, but violent solar system, where planets crash together and leave large amounts of debris around their star. Or it could be a result of a large number of comet-like objects swarming around the star, blocking large amounts of light at regular and/or irregular intervals. He went on to say that the last two explanations are the most likely, in part because the star does appear to have a wide, binary companion. Other stories about KIC 8462852 agree that the leading hypothesis at the moment involves a swarm of comets sent hurtling toward the star by another star. In any case, so far, KIC 8462852 lacks the characteristic infrared signatures you’d expect to see if these truly were signs of alien intelligence. What will astronomers do next? They’ll do what they always do … think, talk to each other, perhaps re-analyze some of the existing data, and try to collect and analyze more data. As mentioned at the top of this post, they began this week to peer at KIC 8462852 with a small radio telescope, the Allen Telescope Array near San Francisco. If they find something interesting, they hope to follow up with the Very Large Array (VLA) near Socorro, New Mexico. Will they get the answer then? Will they be able to say for sure that KIC 8462852 is emitting radio waves from an alien civilization’s network of radio stations, much like those found on Earth? Or perhaps even find an intentional signal? Only time will tell. Stay tuned. Bottom line: KIC 8462852, an oddly dimming star – 1,500 light-years away – might or might not be surrounded by a vast megastructures in space, built by aliens.